Beautiful little release. This entire Shangaan Electro series could best be described as strange, so it comes as no surprise that the awesome, and awesomely odd Demdike Stare and Hype Williams would deliver remixes for the series. Both sides have their epic moments, though of course, due to Demdike Stare's amazing, previous releases, I'm a bit more inclined to their cuts. Still, both sides offer a lot to the table. Get this release! This is a great release. However it's the demdike stare cut that has won me over. It has more of a pulse than some of their other released material, and is very tribal at that. Eerie samples make for a great cut. 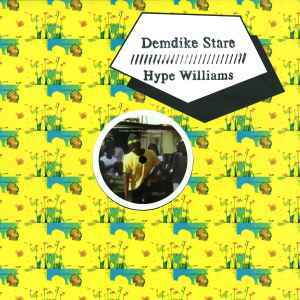 Hype Williams contributes a somewhat lagging reggae cut with druggy female vocals. Highly Recommended!